of Puerto Pirámides (pictured here), the elephant seals and penguins had mostly left, and business was slow as local operators awaited the arrival of the ballena franca (southern right whale) that supports the local economy in the winter months. Normally, the whales arrive in the Golfo Nuevo’s shallow, sheltered waters in June but, according to the Buenos Aires daily Clarín, about 50 whales are already cavorting in the waters at Playa El Doradillo, only 13 km northeast of the city of Puerto Madryn, the gateway to the peninsula (click on the map to see an enlarged version for details). It looks like a strong season, as local authorities anticipate up to 100,000 whale-watching visitors - 25 percent of them foreigners - will visit tiny Pirámides this winter. Most of them will stay in Madryn, where accommodations, restaurants, and other services are more abundant, but Pirámides also has fine accommodations and food in all price ranges. Meanwhile, starting this Friday the 29th, there will be a live feed of the whales’ arrival on the Chubut coast. The Vigilia de las Ballenas (“Vigil of the Whales” will continue through Sunday the 31st. In the United States, this will be the three-day Memorial Day weekend, and in Argentina it will also be a three-day weekend culminating in Monday’s 25 de Mayo, the 199th anniversary of 1810's Revolución de Mayo that deposed the Spanish viceroy and, in 1816, led to Argentina’s independence. According to Mercopress, U.S. President Barack Obama has sent Argentine President Cristina Fernández a congratulatory letter commemorating the anniversary and praising Argentina's efforts "to work as a constructive and stabilizing force in the region and beyond”. 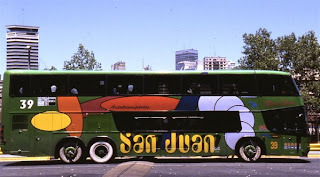 Fortunately for Argentines, the Unión Traviarios Automotor (UTA, the long-distance bus drivers’ union) has called off a planned strike that was to start at 6 p.m. Friday, so they’ll be able to get to their weekend destinations. 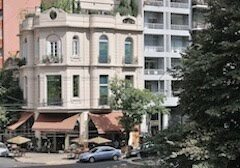 Unfortunately, when they get there, they may not get much service - the Unión de Trabajadores Hoteleros y Gastronómicos de la República Argentina (UTHGRA, the hotel and restaurant workers union) is planning wildcat strikes throughout the weekend. The cities of Mar del Plata, Córdoba, Mendoza and Salta will be the destinations most affected. Those who stay in Buenos Aires, meanwhile, will have a good entertainment option in the 18th annual Arte BA exhibition, which runs through Tuesday the 26th at Palermo’s La Rural. Latin America’s most important single art fair, it stresses Argentine talent but also includes artists and galleries from Brazil, Chile, Colombia, Spain, Uruguay, the United States and Venezuela. Buenos Aires is one of the centers of contemporary art, thanks in part to figures such as Guillermo Kuitca, Jorge de la Vega, and Yoël Novoa (one of whose whimsical sculptures appears here). On the 50th anniversary of its creation, Chile’s most famous national park - Parque Nacional Torres del Paine - has a new commemorative postage stamp in its honor. Every year, the park gets nearly 150,000 visitors, many of them foreigners who come to gaze at what might be the world’s single most scenic mountain range. According to Montevideo-based MercoPress, it is also getting a substantial budget increase - Chile’s agriculture minister says the park is responsible for seven percent of the southerly Magallanes region’s GDP - and a high-tech fire-monitoring system to help avoid the sorts of blazes that damaged its forests in 1985 and 2005. Meanwhile, according to the online Santiago Times (subscription only), the future is less certain for Parque Nacional Archipiélago Juan Fernández, some 650 km off the coast of Valparaíso. 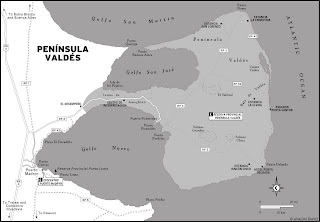 On its Isla Robinson Crusoe, where the 18th-century Scottish castaway Alexander Selkirk’s solitary four-year exile helped inspire Daniel Defoe’s famous novel, Chile’s Ministerio de Obras Públicas (MOP) is proposing a road to connect the island’s airstrip with the village of San Juan Baustista. At present, an hour’s sail or a four-hour walk - one of the most scenic and solitary I’ve ever done - is necessary to reach San Juan from the airstrip. It passes from the island’s arid south side - as dry as the Atacama desert - to the temperate rainforest on the north side, crossing the divide (pictured here) at the point where Selkirk watched every day in hopes that a ship would arrive to rescue him. As part of the park, the trail passes through forests rich with endemic plant and bird species, and passes a huge colony of the rare Juan Fernández fur seal at Tierras Blancas. A road would not only eliminate this stunning hiking route, but would do incalculable damage to the flora and fauna of an island that has (and needs) few motor vehicles. There is no real need for a road through this rugged, unique terrain, on a route that would not be significantly faster than the boat. In the 1970s, as many South American countries suffered under military dictatorships, they also endured hyper-inflation that, in some cases, reached 50 percent per month. In some cases, the military regimes inherited the problem, in others they caused it, and in yet others they threw fuel of fire. In dealing with the problem, they often found their currencies unwieldy - Argentina, for instance, once had to issue a million-peso banknote. As the situation stabilized, currency reforms cut zeros to make calculations more manageable. New banknotes and coins came into circulation, but Augusto Pinochet’s Chilean regime was the only one to use them as a blatant propaganda tool - issuing 10-peso and 100-peso coins showing Libertad (“Freedom”) breaking the supposed chains of Salvador Allende’s constitutional government in Pinochet’s coup of September 11, 1973. For 16 years, until Chile returned to constitutional government, its citizens literally lugged their unhappy reality around in their pockets and faced it every time they purchased candy or ice cream. On taking office in 1989, though, the new Concertación government changed the face of the coins and, in the interim, these ugly reminders of dictatorship have nearly disappeared from circulation. In recent years, Chileans’ biggest monetary problem has been the sheer weight of coins that accumulate in their pockets as the peso - about 35 per US dollar in the 1980s and nearly 600 per dollar now - has depreciated over the decades (in the last few years, though, it's shown remarkable strength). Recently, the government has announced that, for the country’s bicentennial in 2010, it would mint new coins of 20 and 200 pesos. This will reduce the cost of minting and, at the same time, it should reduce the burden of coins on Chileans’ pockets, if not their pocketbooks. Last month The New York Times travel section, in its inimitably Eurocentric manner, pointed out how hostels have become an increasingly viable option for anyone who wants to travel overseas on a budget - but without having to hassle with snorers and other nuisances in a dorm with a dozen bunks. It’s true that traveling in the Southern Cone countries is generally cheaper than Europe but, in any event, hostels in Argentina, Chile and Uruguay often are better options than higher-priced one, two, or even three-star hotels (it’s worth adding that “star categories” here are less meaningful than they might be in Europe). Many Southern Cone hostels belong to Hostelling International (especially in Argentina), but others (especially in Chile) are independents, sometimes loosely organized affiliates that do not require membership (non-members pay slightly higher prices at HI hostels). In addition to private rooms, often very stylish, they even have amenities that would have been unthinkable even a few years ago - Puerto Iguazú’s Hostel Inn Iguazú, for instance, has an enormous outdoor swimming pool ideal for cooling off after an excursion to the subtropical heat and humidity of Parque Nacional Iguazú and its thundering falls. It sister hostel, the Marcopolo Inn Náutico, occupies a site in the Río Paraná delta, so secluded that it’s hard to believe it’s barely an hour from Buenos Aires (which has many fine hostels in its own right), and offers kayaks for its guests. The trendsetter among Chile’s independent hostels is Pucón’s Hostería ¡Ecole! (pictured here), which opened in 1994, but many others have followed its example. My personal favorite is Talca’s Casa Chueca, which also conducts tours into some of the most scenic, and undervisited, parts of the Chilean Andes. Santiago’s La Casa Roja is, to my knowledge, the only hostel in the Southern Cone with a swimup bar and a batting cage (suitable for cricket or baseball). Patagonia, especially on the Argentine side, has abundant hostels that are remarkably stylish, such as El Calafate’s Hostel del Glaciar Libertador and América del Sur Hostel. In the shadow of Cerro Fitz Roy, El Chaltén’s Albergue Patagonia (pictured here) has recently added some of the most beautifully simple rooms in Patagonia's "trekking capital." For some of the best options in Chile, check the websites of Backpackers Best and Backpackers Chile, both of which are misleadingly named - almost all of them will meet the expectations of surprisingly demanding guests. In Argentina, try the national affiliate of Hostelling International and, across the Río de la Plata, Hostelling Uruguay.